Photo courtesy of Nancy Nolan Photography. Check out Artist Nancy Nolan in her studio! We cannot wait to see these beautiful, fluid prints hanging in our gallery space at Wildwood. 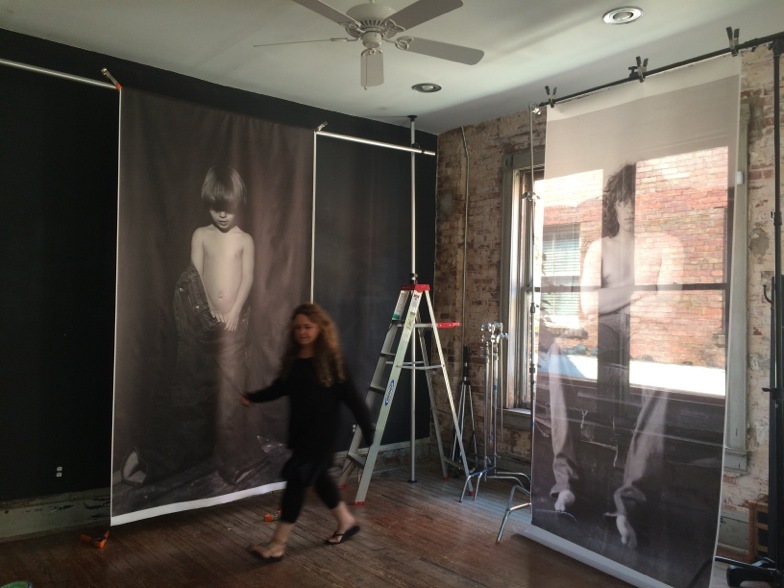 Nolan has been working to envision an installation of 20 years worth of prints of her son Park in his father’s Levi’s. Join us at the opening reception on Thursday, October 15 to see what she has come up with! A documentary created by Dave Anderson will play throughout the exhibit and provide insight into Nolan’s process and the final photoshoot of Park. Learn more about the exhibit, as well as donation opportunities, here. Learn more about Nancy Nolan here. Dracula Unearthed: Get your tickets today! Join our team!